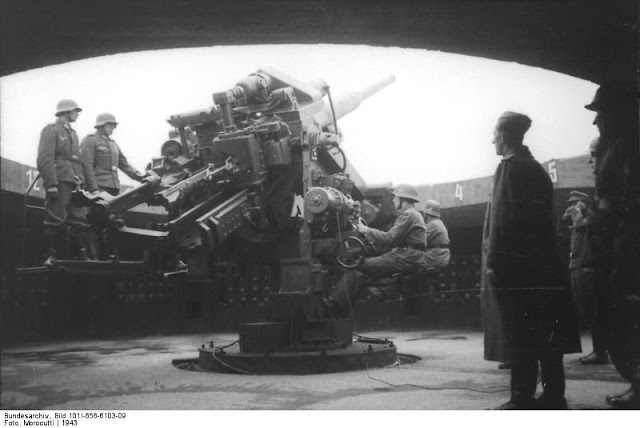 It is easy to shrug the shoulders and dismiss the amount of protective power offered by a flak tower. It isn’t until the full scale of these constructions is revealed that one realizes that they were designed to afford the maximum repellent possible to enemy aircraft. They were, to a greater extent, considered invulnerable. The three that encircled Berlin were, on their own, able to protect the city – such was their enormity. The ones which survive, such as the one in Vienna above, serve as a poignant reminder of a continent in a state of total war. 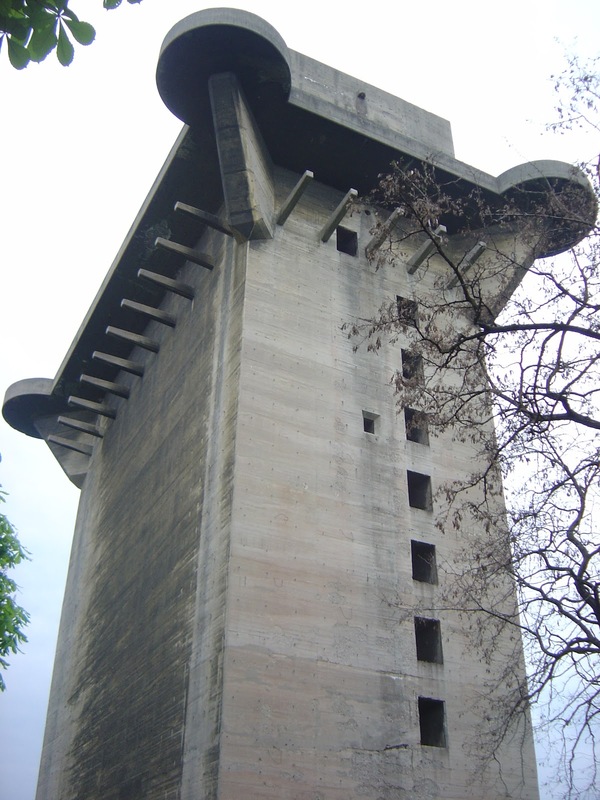 The Flak Towers (in German, Flaktürme) were effectively above ground anti-aircraft positions in the shape of a huge blockhouse. They were manned by the Luftwaffe and the fire power was frightening. As well as dealing out death in the sky, the towers also served another purpose. 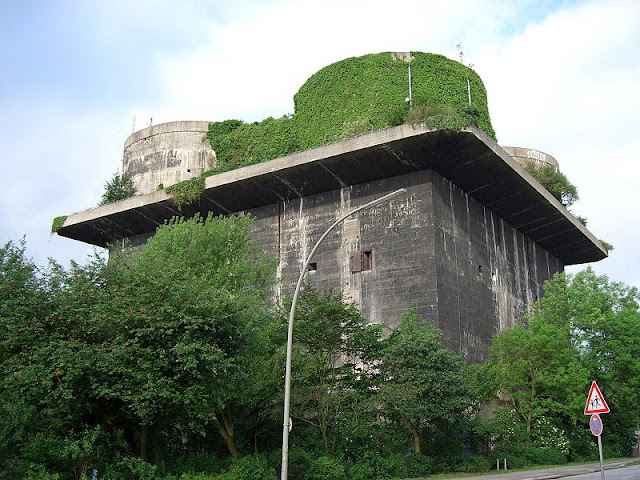 Their three and a half meter thick walls meant, too, that they could be used as above ground air-raid shelters by countless thousands of civilians. They saved lives as well as destroying them. Image Credit Flickr User Julius! They remain imposing today, such as the tower in modern day Hamburg, above. As such they became a symbol of the absolute power of the Reich that they represented and protected. 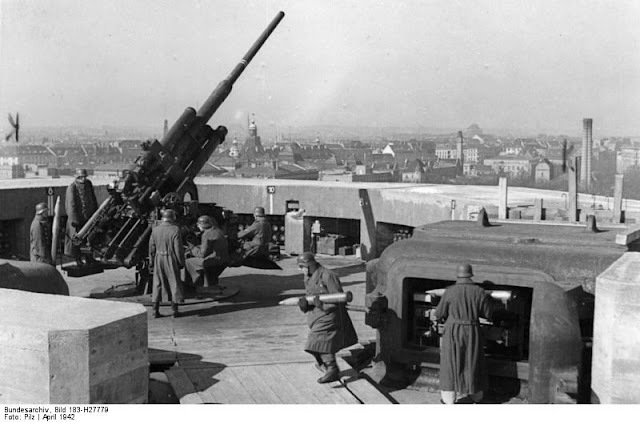 The anti-aircraft installations on the roof were something to behold. They also contained a retractable radar dish. 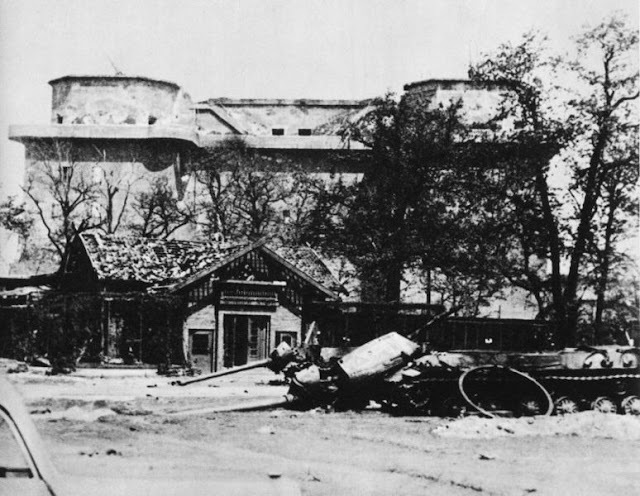 In times of an air raid the radar dish could be withdrawn in to a steel and concrete dome. The design – although hurried – did the trick. 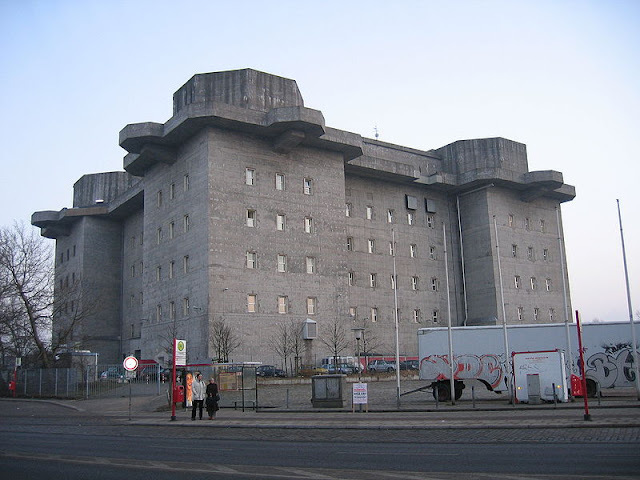 It is said that Hitler took an interest in their construction and the dormant artist in him came back to life. He made several sketches of the towers in their design stage. None remain whole in Berlin today as they were destroyed at the end of the Second World War. However, there are still some surviving examples, such as the ones in Hamburg. The first is in rather better condition than the second. The first, in Heiligengeistfeld has had a variety of uses since its original – it has housed various music-themed organizations, from shops to a school – and even a night club. 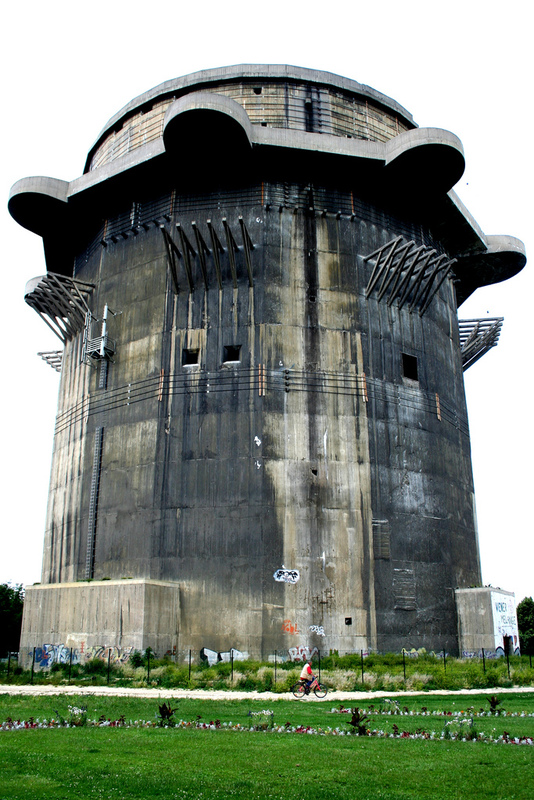 The second G Tower (short for Gefechtsturm meaning combat) has fared less well, but better it must be said for the two L Towers of Hamburg. 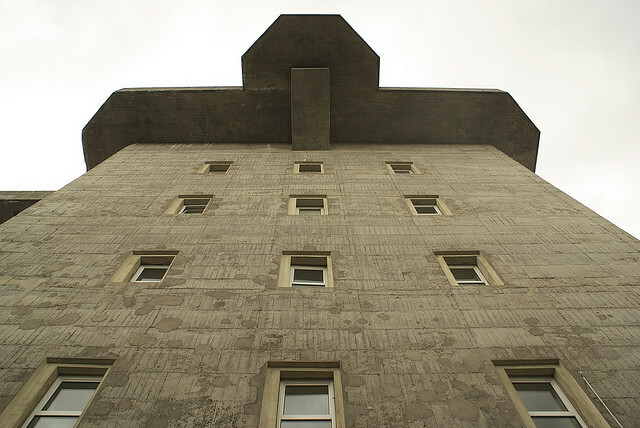 The L stood for Leitturm or Lead and both were demolished after the war – no future use being perceived for them by the disillusioned German people. 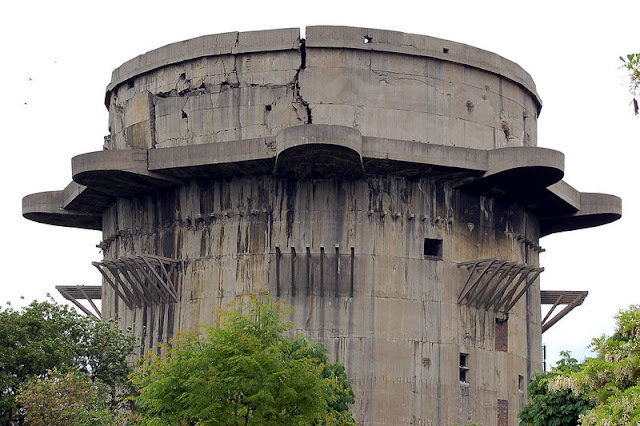 Ironically, the G Towers were those which fired the flack upwards at the enemy rather than the L, which were used for fire control, as a listening bunker and also as a point of central command. 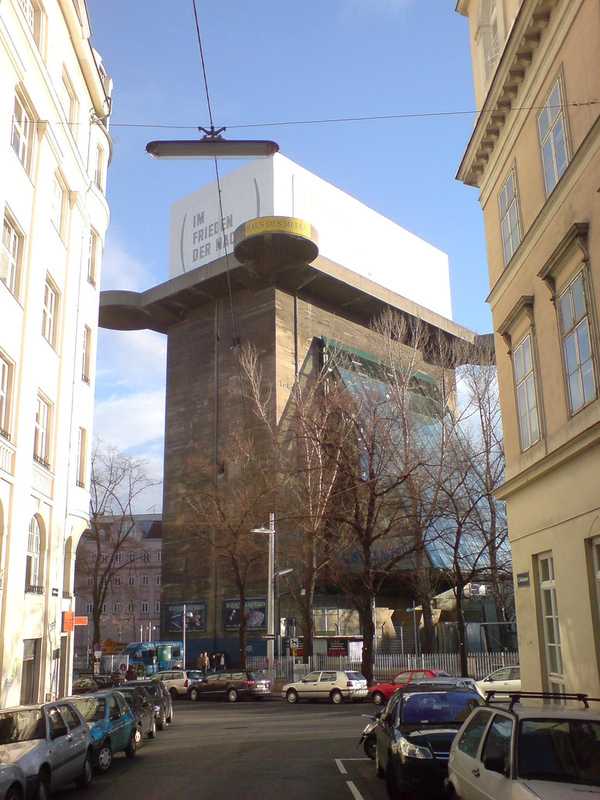 The L Tower in Vienna is now, well, you take a guess. If your German is any good then its current name – Haus des Meeres is a complete giveaway. If not, then you may be surprised to discover that it is an aquarium. Instead of weapons of war and people huddling from falling bombs it now houses over three and a half thousand animals, with huge fish tanks containing sharks, turtles and piranhas (in different tanks one assumes). There is even a new tropical house with free flying birds and free-running monkeys. Image Credit Flickr User Thomas! 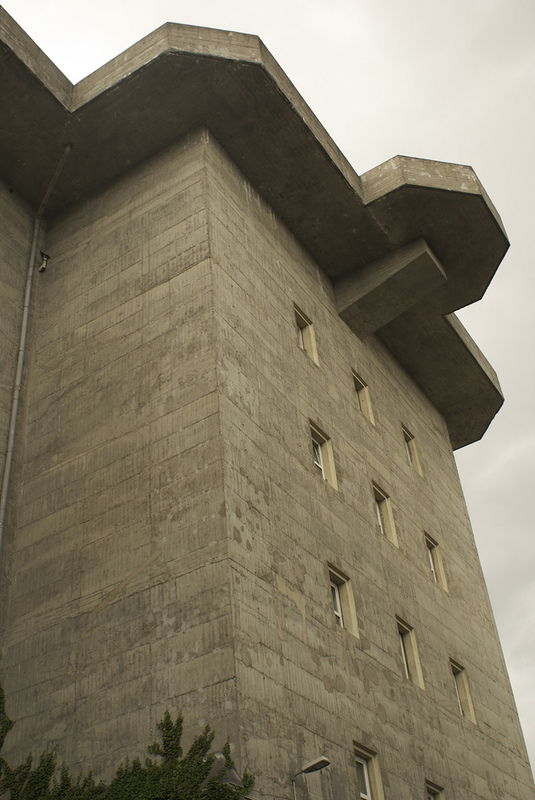 Of course, not all of the flak towers were rehabilitated to such fine ends. 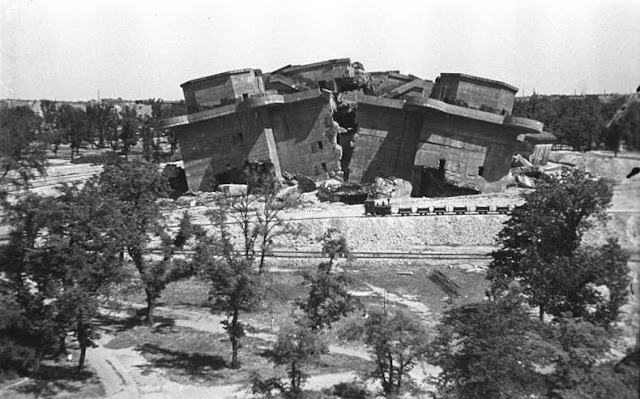 All of the Berlin ones were destroyed or partly demolished at the end of the war. 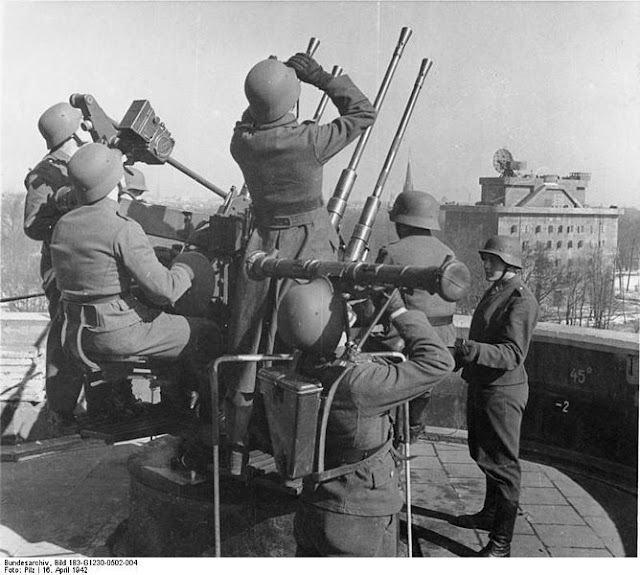 When Berlin had been assaulted, the Soviet army discovered that they were unable to do significant damage to the towers, even with their 203mm howitzers. So, what they did was invade the city by skirting around the towers. Special envoys had to be sent eventually to the towers to negotiate their surrender, such was their impregnability. 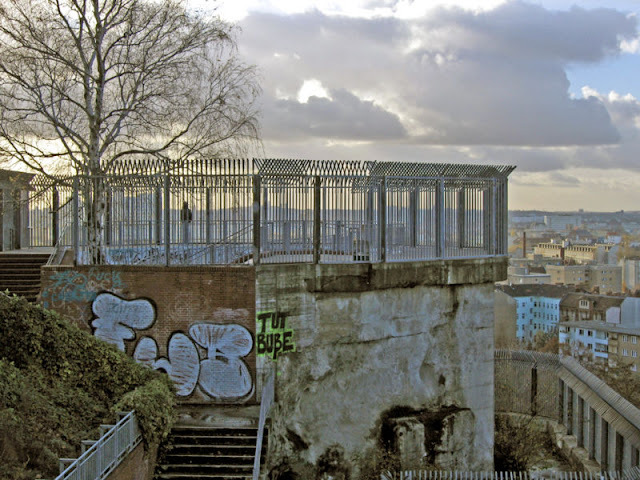 The Zoo Tower (below) was one of the last points of defense in Berlin. In both these1942 pictures of the G-Tower. You can see the L-Tower in the distance. 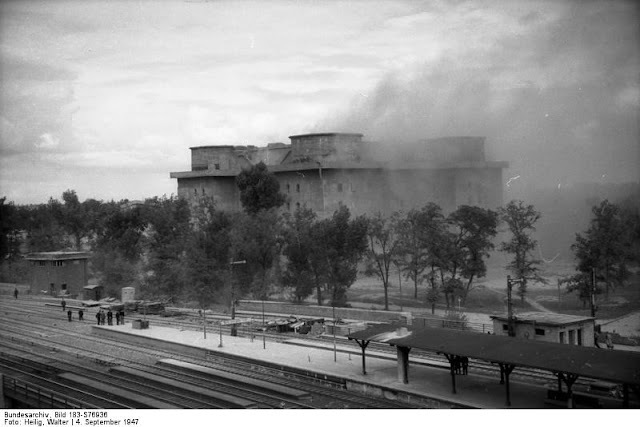 Both towers were demolished after the war, with G-Tower being blown up in 1947. 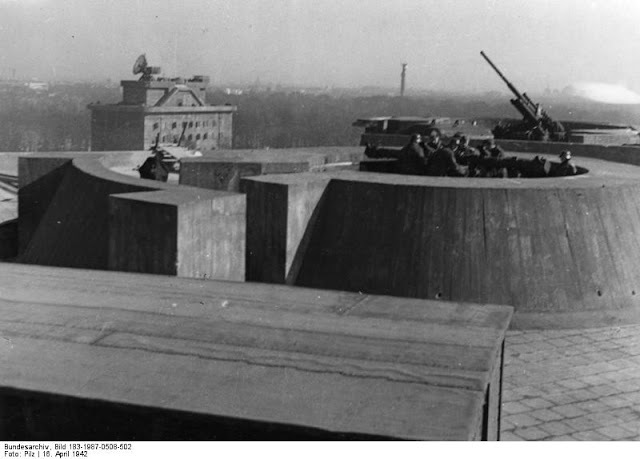 There was no room in post-war Berlin for such installations, particularly as the city was the center of a new dispute that came eventually to be known as the Cold War. 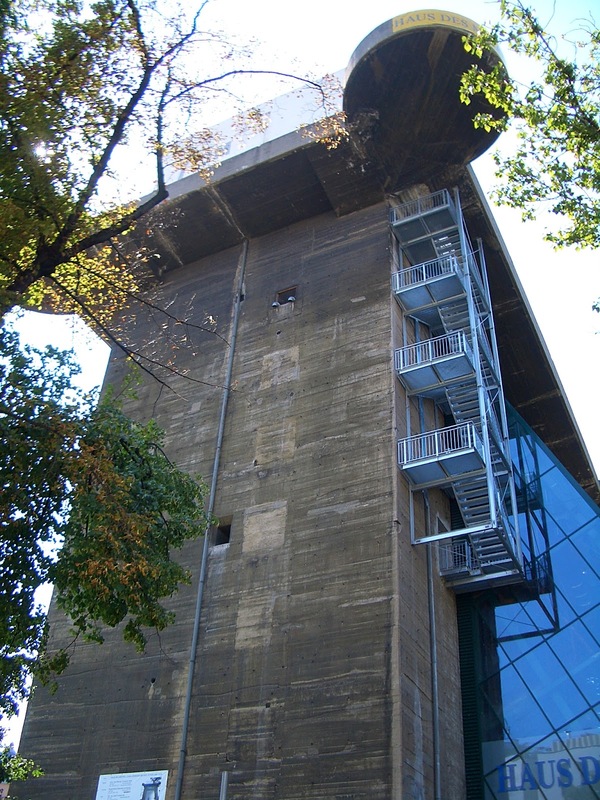 The Humboldthain Tower remains, though it was partly demolished. You can still take a tour of the interior – although everyone who chooses to do so must wear protective clothing and a hard hat. From the looks of the interior, that isn’t just for the sake of the health and safety brigade either. Of the third in Friedrichshain only one side remains. 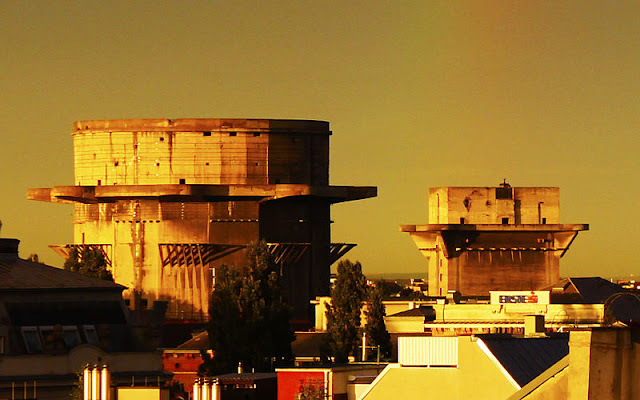 These towers were built to withstand virtually anything that could be thrown at them. They were generally considered by the allies to be invulnerable to any of the usual ordnance that their bomber carried. This having been said, they would probably have crumbled under a grand slam bomb but these were generally not thrown at the cities of the Reich. As such aircraft tried as much as they could to avoid the flak towers. There is little surprise there. 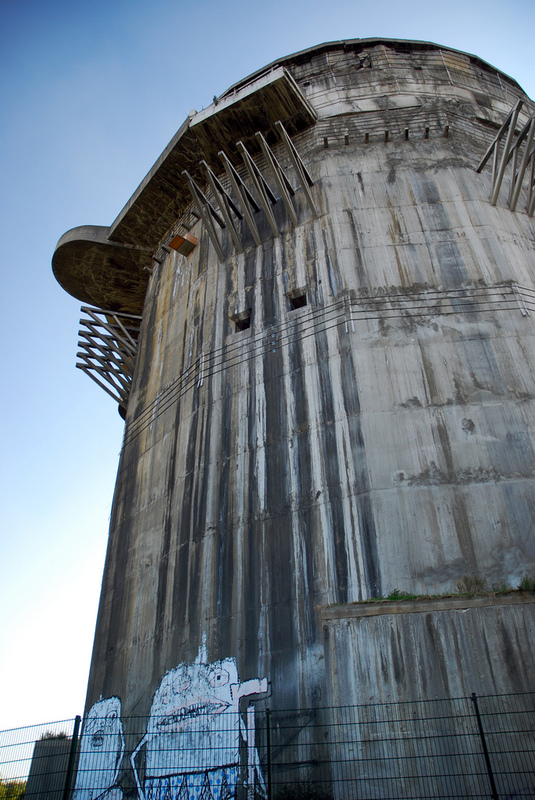 The towers could fire up to eight thousand rounds a minute and had a fourteen kilometer range. 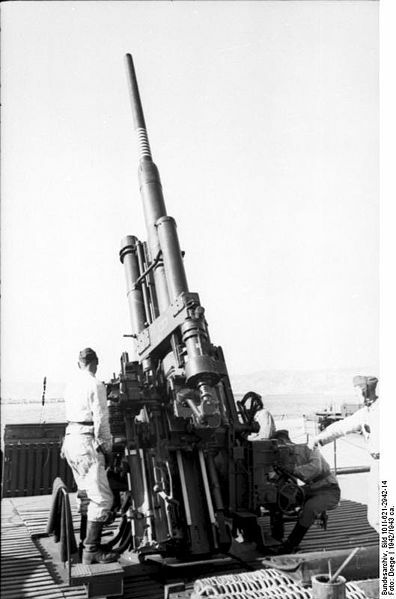 Not only that, each of the guns had a full three hundred and sixty degree range of fire. It is little wonder that for many years these towers were unloved and unwanted. Perhaps now they can be rehabilitated fully and put to good use for future generations. Or should they, in fact, all have been torn down and the past forgotten? Decide for yourself.